In today’s scenario success of any organization depends not only in terms of financial measures but other non-financial measures such as customer satisfaction, product quality, goodwill, speed of response, after sale service; forward-looking measures like employee satisfaction, customer retention, employee retention and strategic planning. Based on the nature of business, every company has different KPIs, which are company measurable goals for the success of any organization. There are multiple personnel across different departments in the organization whose efforts result in achieving the goal and it is the outcome of shared accountability. The organization should communicate its corporate goal into measurable operational goals. These goals will be established on a periodic basis and will be linked with individual performance goal. There are some internal processes that will be established to meet the strategic goals. KPIs are analyzed to evaluate the performance and success of organization and make recommendations to improve company performance. There are different ways to access the performance of an organization. Every business has different KPIs to measure its success such as, net return value and customer loyalty which are considered to be the measurement of success. As the internet is growing in scope, cloud computing now is booming for businesses because they can choose to increase or decrease computing capabilities as per their requirements without spending on extra resources like software, hardware, extra personnel and training for these extra recruits. Today businesses just need to choose any cloud service provider who offers different options according to their need and budget. It is a mutually beneficial approach where the provider gets a good margin of profit as well higher returns for the users or organizations by saving substantially on investments. 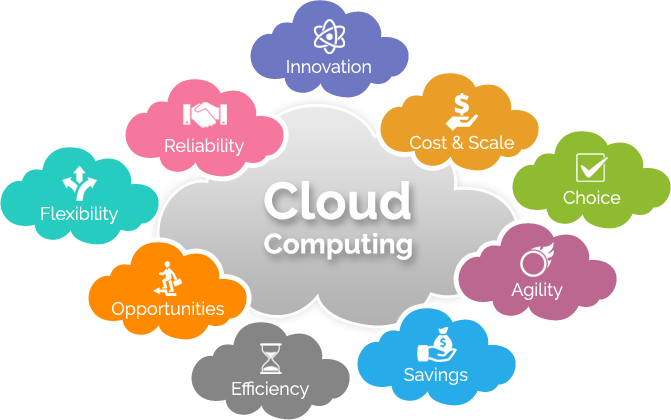 Cost effectiveness, ease of use and platform independence are some of the advantages associated with the cloud computing, for a business. Any organization needs to constantly invest in updation of IT infrastructure, networking, additional space and bandwidth, and it is here that cloud computing is one of the viable or even a better option for businesses. Cloud computing services are more flexible, offering various price options and level of services are available without spending extra on services or IT investment. As businesses using cloud are increasing by the day because of less investment and more return on investment, it means that the number of customers should increase. So organizations need to keep an eye on their sales teams and whether new customers are getting added onto their existing list. If not, then organizations need to analyze and find the reasons for decline in the number of customers. By using cloud computing, an organization reduces resource requirement to maintain infrastructure, overall cost of software and hardware, eliminates the need of co-located data centers and much more. Cost avoidance is related to cloud and it is easily one of the KPIs when the business adds more and more users every month; one just needs to calculate the cost of hardware, software, infrastructure, etc. Just saving cost on hardware, software, infrastructure associated with cloud is not the only criteria for success; customer loyalty and their constant association with the organization is also a measure of the success of any organization. For good organizations, “Customer is King.” Sometimes, customers or users are happy if they are asked to provide their feedback on the services. When a cloud-based setup needs to renovate, then customers are also happier with new cloud based setup. Businesses in the cloud are very fast because there is no need to worry about finance for purchasing extra resources like space, network, infrastructure etc. This helps organizations expand their businesses in quick time. Businesses in the cloud eliminate the need for in-house technical staff and other resources keep their function running smoothly. If one server fails, organizations are equipped with the data protection mechanism that assures uninterrupted operation of the business. Calculation of the average time between finding the bug in the application and getting a solution is one of the big KPIs for a cloud infrastructure. It has been observed that there is reduction of approximately 30 percent to 80 percent time between bug and solution deployment. In addition to the above mentioned KPIs, organizations can grow their business through joint ventures and partnership because by partnering with other businesses, they can get significant benefits like sharing resources such as people, equipment, experience and skills, that will be able to unlock more new growth opportunities and improve the growth of the existing business.